After substantial searching, the author has found a rifle in .300 Sherwood caliber. 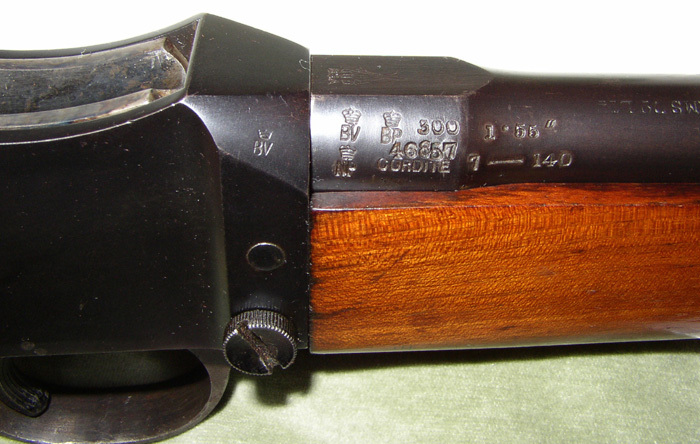 Since the .300 Sherwood caliber was trademarked by the Westley Richards company rifles in this caliber are often marked .300 Extra Long as is this example. The two caliber designations are for the same cartridge and a reproduction of the 1929 Vickers Limited Firearms Catalog (available from Armory Publications ) shows their ".300 Martini Rifle" as being in the caliber .300 Extra Long, but the illustration of the cartridge on the same page is marked .300 Sherwood. The price of the Vickers rifle in 1929 was Five British Pounds. The rifle illustrated below is BSA manufactured Martini actioned single shot rifle. Barrel length is just over 24 inches and overall length is just under 40 inches. 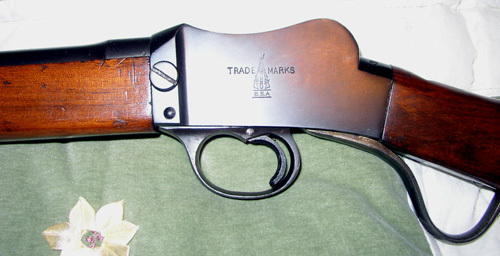 Pictures of the rifle, the generous proof marks (and additional information), caliber and manufacturers lines, and the BSA trademark on the left side of the receiver are shown below. In an extremely well researched and informative article in the January, 2002 issue of the magazine, Rifle , (p. 199), Ross Seyfried has described his experiences with both the .300 Sherwood and the .310 Cadet. He provides excellent information on reloading for both cartridges as well as shooting results. His rifle is a Westley-Richards with a Martini action with takedown capabilities. His suggestions for obtaining components for the cartridge have helped this author immensely.